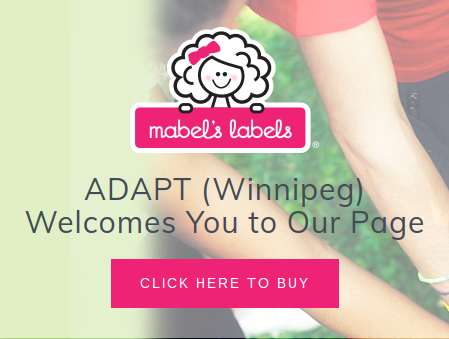 The Attachment Network of Manitoba is a committee of professionals who are interested in promoting secure attachment across the lifespan. 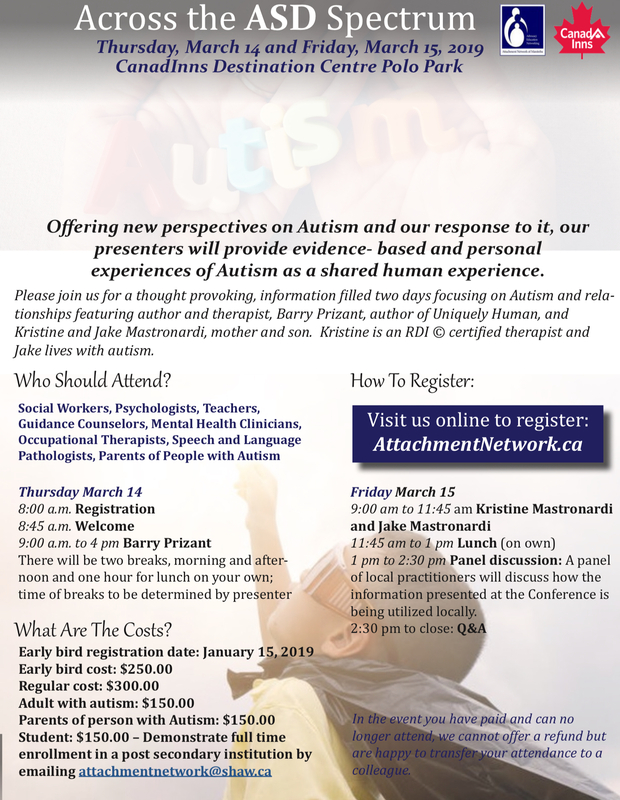 Attachment – the capacity to form and maintain healthy emotional relationships – is important for everyone, and the Network has decided to focus on this topic with respect to children with autism at their conference in March. How can healthy emotional relationships be strengthened for kids on the spectrum? To explore this question, they have invited Barry Prizant, therapist and author of Uniquely Human, and Kristine and Jake Mastronardi, mother and son. Kristine is an RDI © certified therapist and Jake lives with autism. This conference promises to be a thought provoking, information filled two days – definitely not to be missed! To register or for more information, visit the Attachment Network website.